Harrisons Malayalam – Value Unlocking? Harrisons Malayalam Limited (HML) has huge tea and rubber plantations spanning across 23,417 hectares i.e.. approx 57,800 acres. HML is the single largest producer of Rubber in the country with 18,300 acres under cultivation. 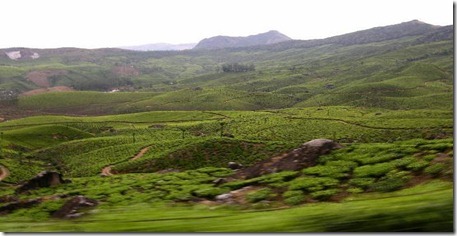 It is also the largest grower of tea in South India having plantations spread across 15,000 acres. It is also one of the largest farmer of Pineapples in the region. Over the last few years, the company has also been a major processor of other agricultural produce from neighbouring farmlands. 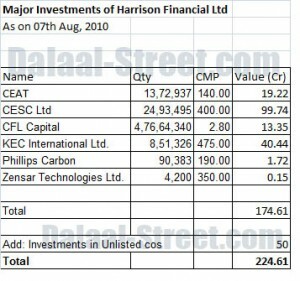 HML through it’s 100% subsidiary – Harrison Financial, holds investments worth more than 225 Cr of group companies like – CES, KEC International, Ceat etc. HML also has a small projects division. They won a 50 Cr KRCTC contract in January, 2010. Though in the past the company hasn’t created value and has had a slow growth, but things seem to be changing and major positives are there for the company. The rubber prices have risen from about Rs 90/Kg to Rs 180/Kg. 2. Tea prices have been firming over last several months. a. “Moving away from selling produce as a commodity”. HML is trying to sell branded tea rather than selling it in auctions. b. Upping land productivity (through re-planting old tea bushes and rubber trees with new high-yielding varieties and inter-cropping pineapples, bananas and other crops with rubber). c. Upping labour productivity. (Mechanisation has increased to 50% in 2009 from 20% in 2008). 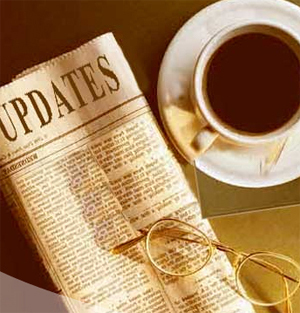 HML had announced the demerger plans on 29th January, 2010. As per the details, the company is demerging the investment undertaking into Sentil Tea & Exports Ltd (STEL). The shareholder of HML will receive new shares of STEL in the ratio of 1:1. The investments are worth 225 Cr+ and the equity capital of the new company would be 18.46 Cr. Even if STEL lists at 50% discount to value of investments, the listing price would be Rs 60+. If one is to consider the replacement value of the huge plantations HML has, the value is unbelievable. Such huge assets can’t be created again. At such low Market Cap, the potential is huge. Posted on August 8, 2010 Author ayushCategories StocksTags demerger, Harrison, hidden value57 Comments on Harrisons Malayalam – Value Unlocking?